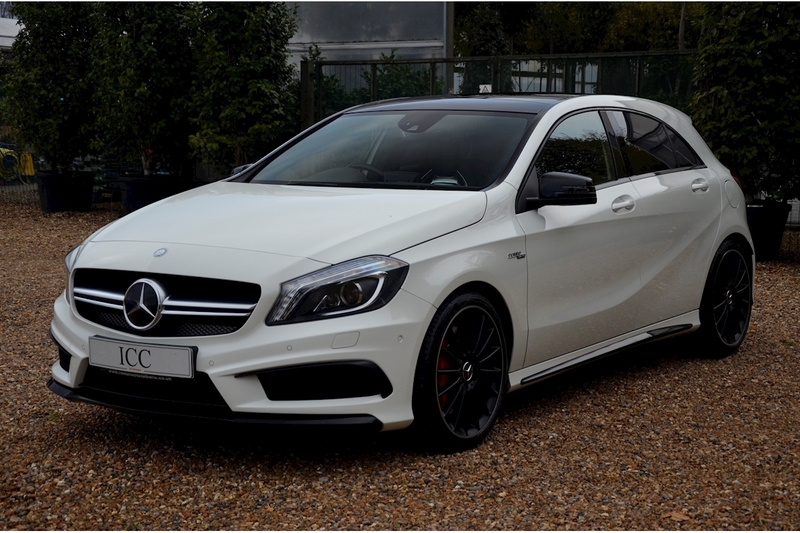 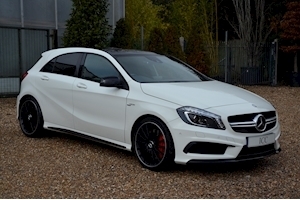 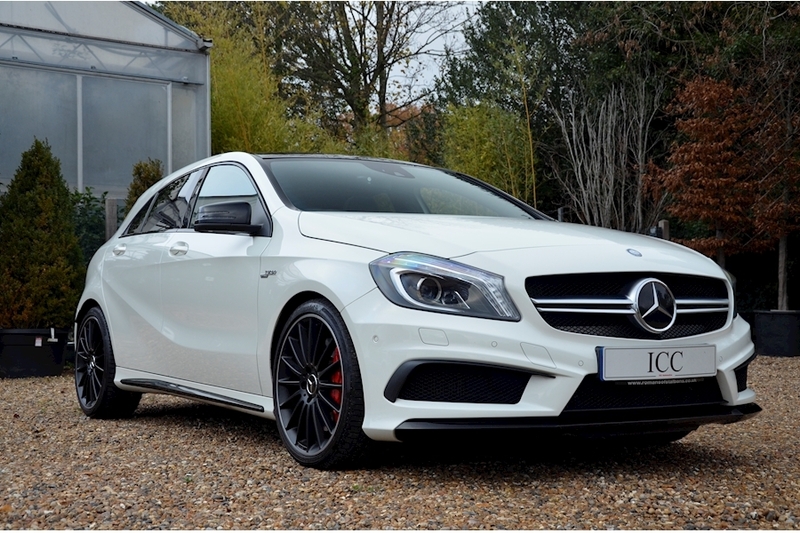 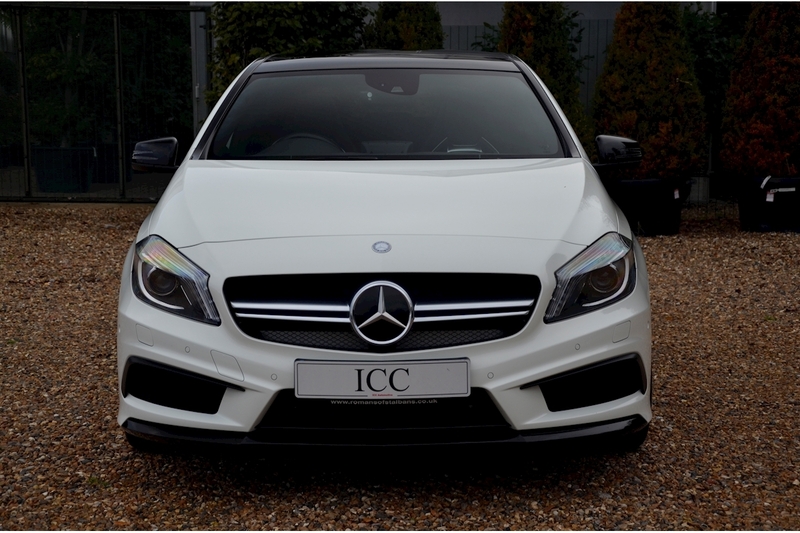 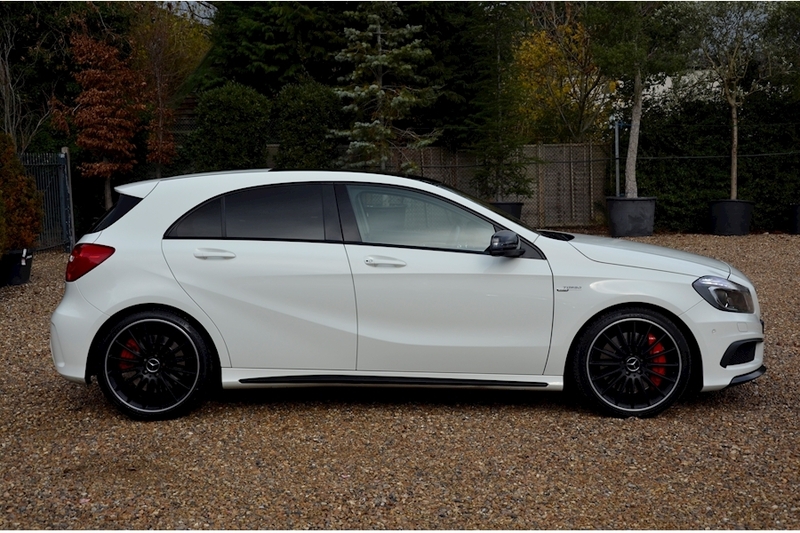 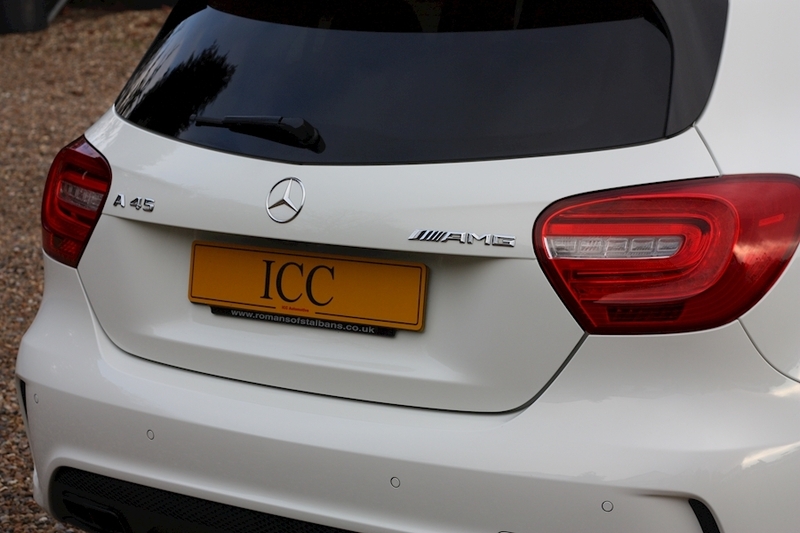 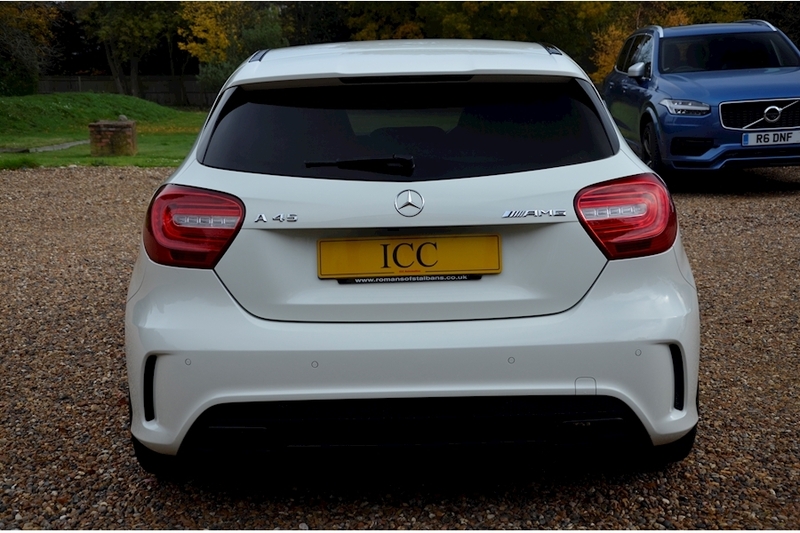 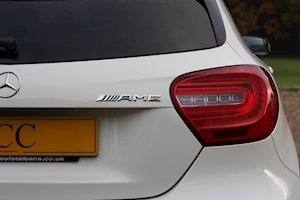 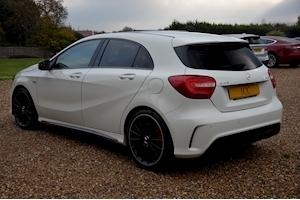 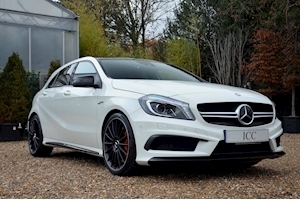 New into the ICC stable is this fantastic A45 AMG. 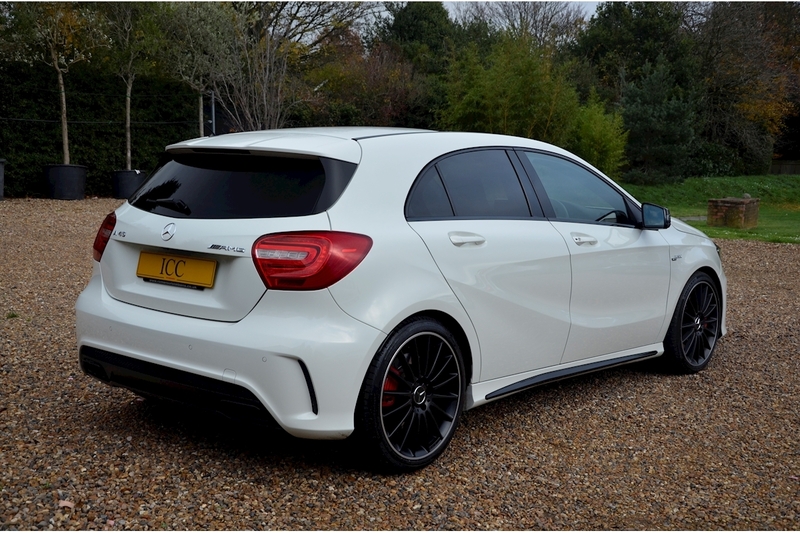 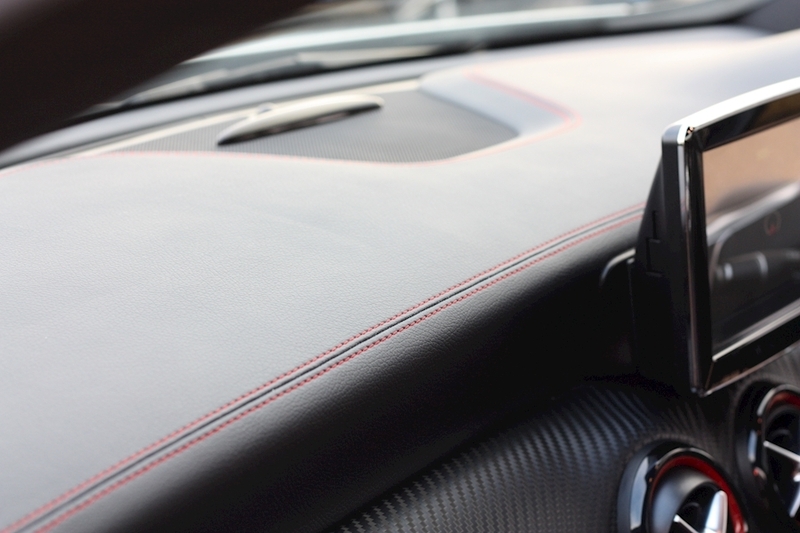 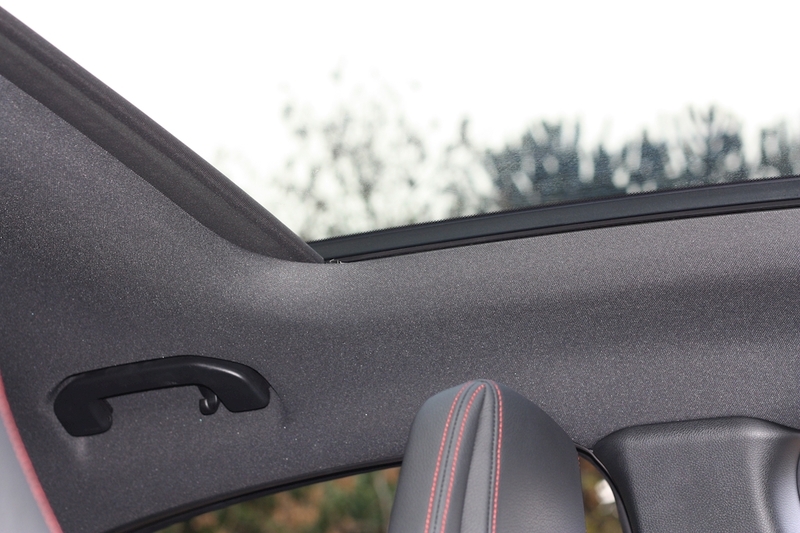 The Black pack contrasting with the White exterior finish make this car look every bit the Hot Hatch that it is. 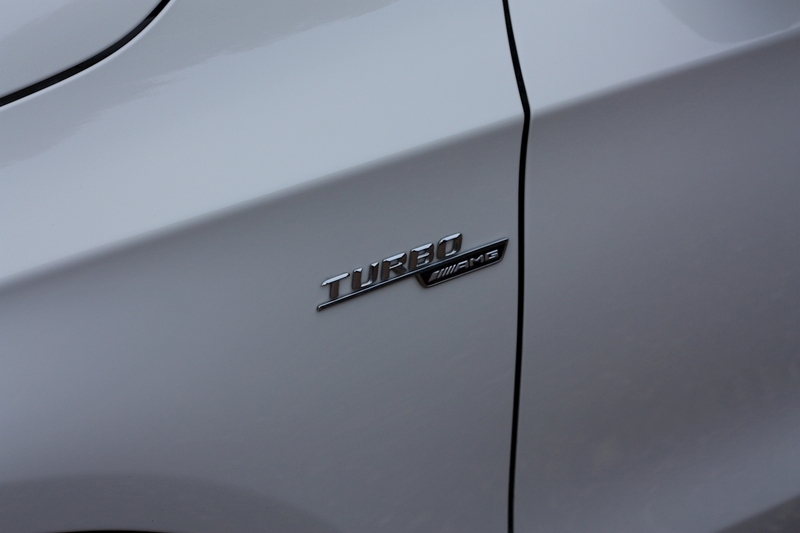 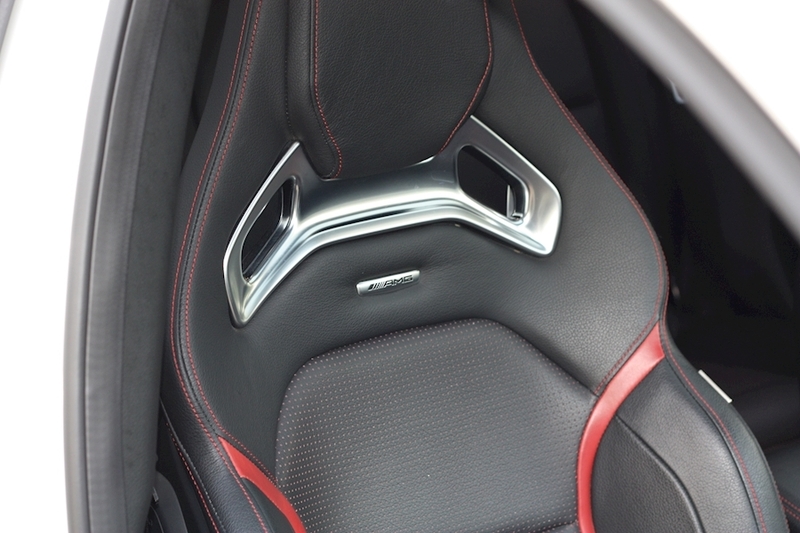 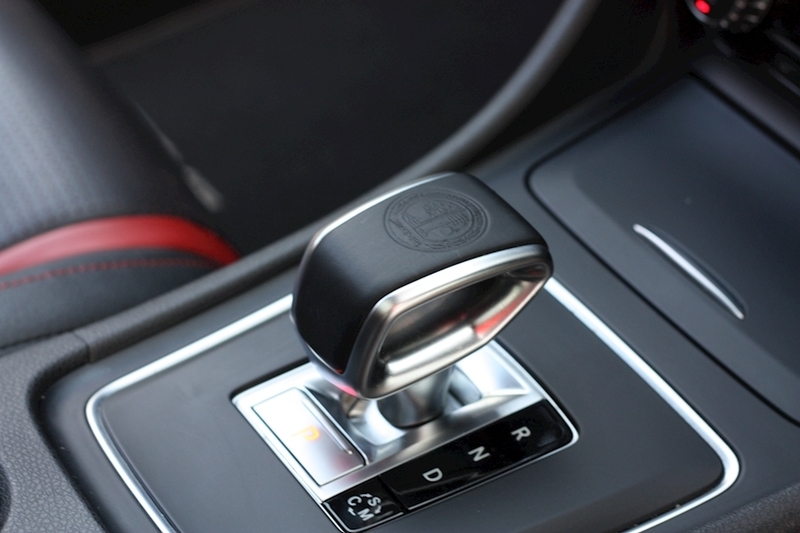 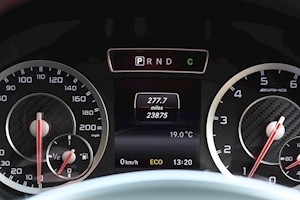 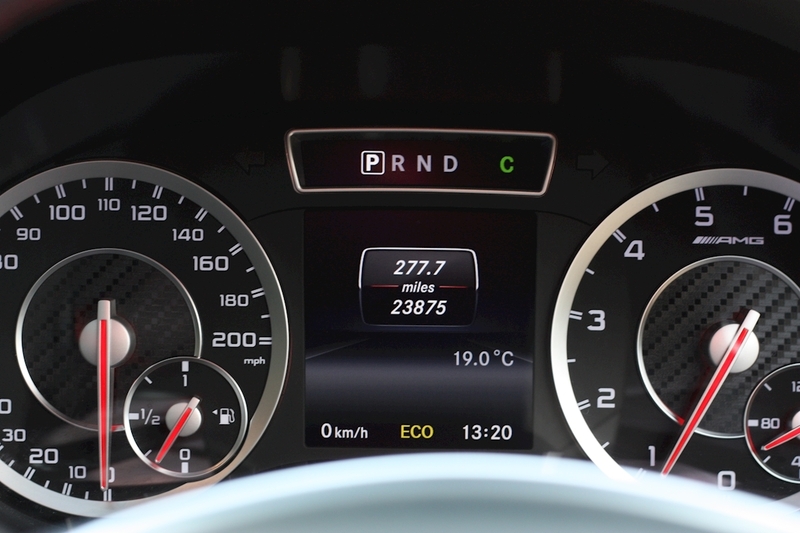 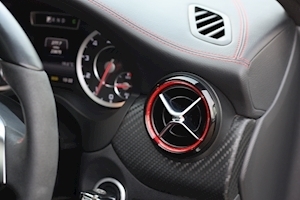 Stagering performance from the 2.0 ltr turbo charged engine is matched only buy the glorious exhaust note. A very engaging sports car. 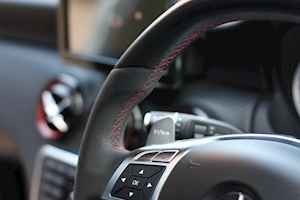 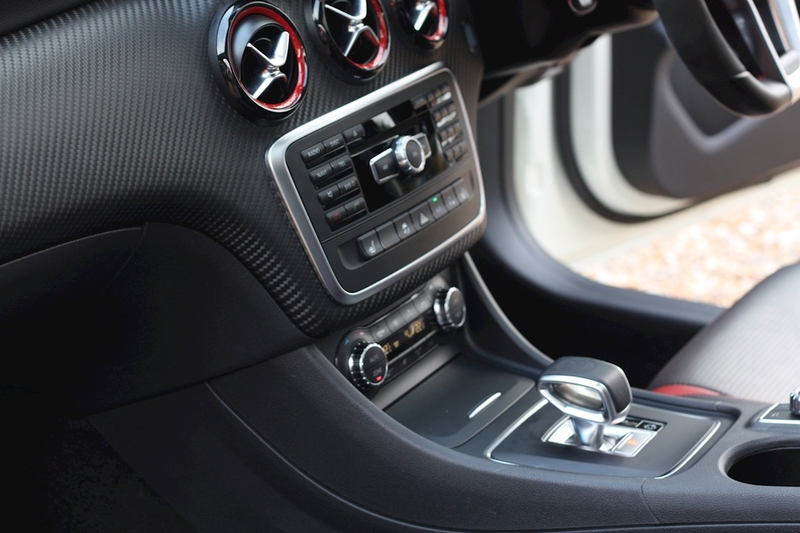 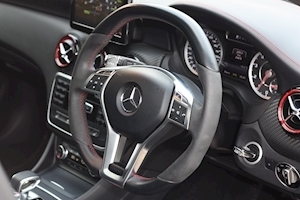 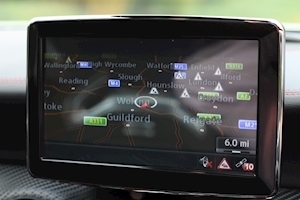 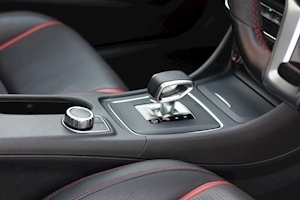 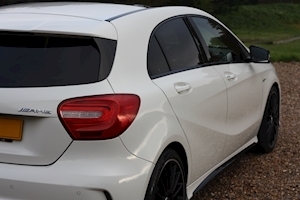 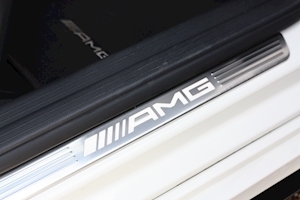 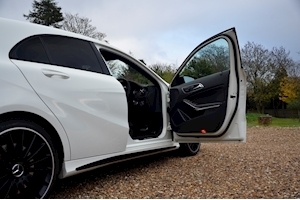 This car has Mercedes-Benz service history and comes with a host of options including the Panoramic Sliding roof, the AMG Performance Exhaust and the Larger interactive screen. 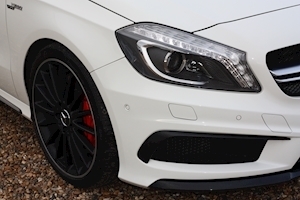 Not to mention the recent addition of new tyres all round and new rear discs and pads. 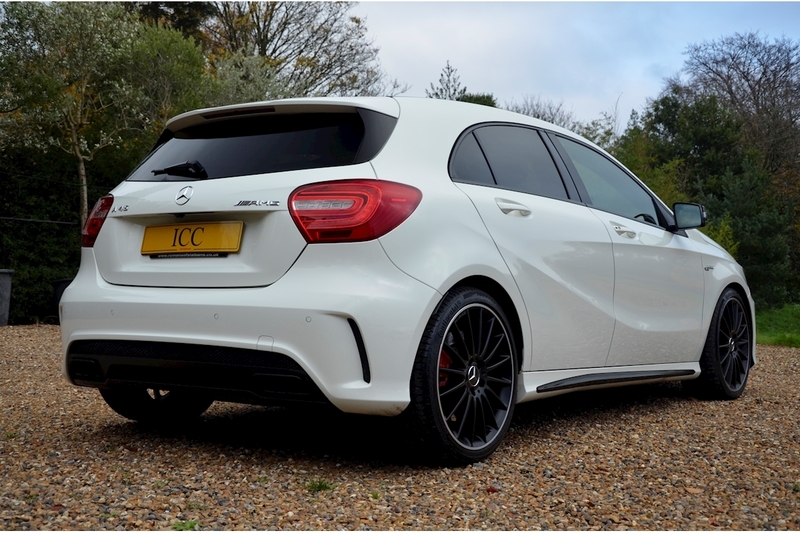 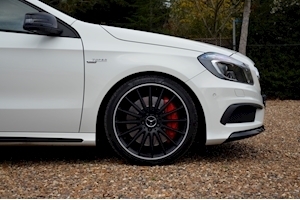 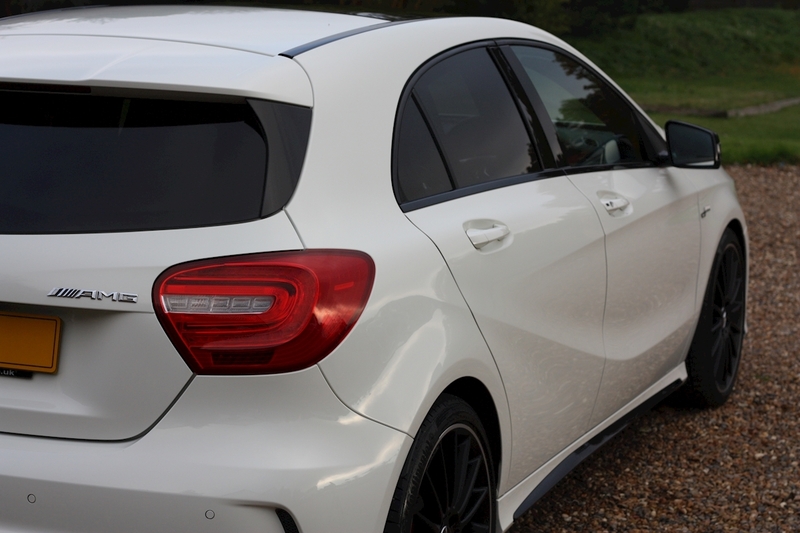 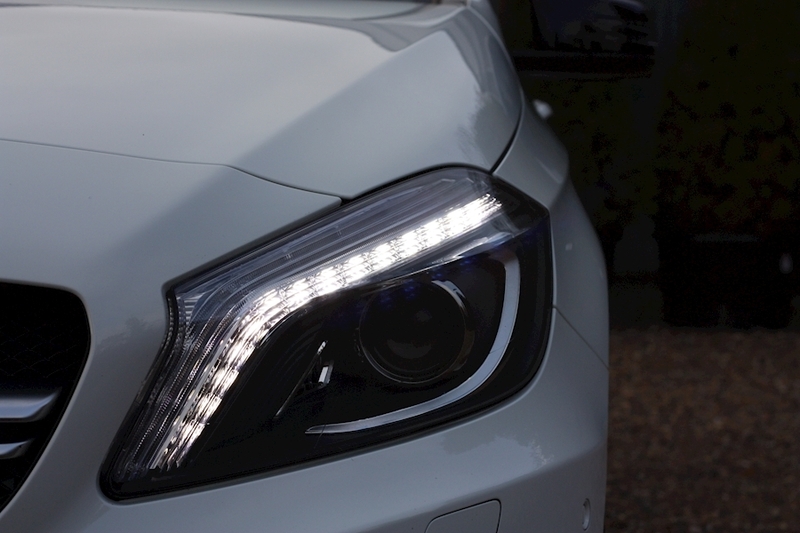 Look no further in your search for your A45 AMG. Lava Black Full Leather with Red Accents, Matte Carbon Weave Interior, AMG Performance Exhaust, 19" AMG Alloys, Red Brake Calipers, LED Headlights, AMG Illuminated Door Sils, AMG Performance Seats, AMG Performance Steering Wheel, AMG Floor Mats, AMG Exclusive Pack, AMG Night Pack, Air Conditioning, Bluetooth/Iphone Connectivity, Cruise Control, DAB Radio, Electric/Heated/Memory Seats, Extended Leather Pack, Front and Rear Parking Sensors, Mercedes Service History, Navigation System Professional, Panoramic Sliding Roof, Privacy Glass, Reversing Camera, USB port, AMG Performance Suspension, Collision Warning System, Automatic High Beam Assist.